Recommend A…Book With a Character Who Plays a Sport! I know some of you are thinking “uhhh Harry Potter…really? 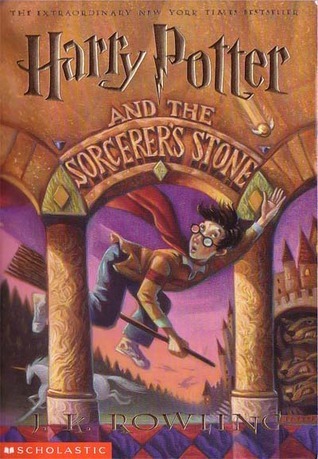 !” First of all, there are still people who have not yet experienced the phenomenal journey that is Harry Potter. Second, Quidditch is totally a sport. Finally, I realized while writing this post that I haven’t read any books featuring a muggle who plays a sport. It’s embarrassing, really. So, to those of you who have read and enjoyed Harry Potter tell me something nice about the series. A favorite part or quote perhaps? A reason why those who have not yet read the series should pick it up immediately? Your choice, my friends! To those of you who have yet to read these wonderful books, I truly encourage you to do so as soon as possible. This entry was posted in Recommend A and tagged magic, Wizards. Bookmark the permalink. Umm. Uhh. I can’t even begin to start anywhere with Harry Potter! People who haven’t read it just should. Stop what you’re doing, go read Harry Potter. Totally more rewarding than the movies if you’re like my parents and you just watch the movies. And quidditch it totally a sport. Even Muggles try to play it. Although I just laugh at them. Quidditch rocks as a sport!! We all know I share your HP love, it’s kind of ridiculous. In fact, it’s been a couple of years since I read any and I need to for like the upteenth time. I actually was hoping to download all of the books on Audible, but they’re not available which makes Heidi’s sad. I own most of them on tape anyway, but they’re in Wyoming. Bah! P.S I have been watching HP all day..
Great choice. My absolute favourite scene in Harry Potter is from the final book. It’s Snape’s memories of Lily – his big reveal to Harry. That chapter just broke my heart. I am hysterical EVERY time I watch this part!! Actually I just watched HP 2, 3 & am currently watching 4 while I blog and there are parts in every movie that make me tear up!! It’s awesome!! Awesome approach here 🙂 way to turn a category on its head! Or at least I wouldnt have thought of Harry Potter! yesssssss I love that you named Harry! awesome post!